Taiwan remains the world’s fourth best place to invest, trailing Singapore, Switzerland and Norway in the latest Profit Opportunity Recommendation report released by U.S.-based Business Environment Risk Intelligence SA in August. 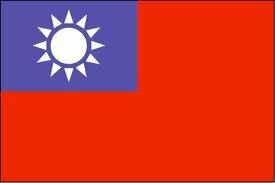 Taiwan received a score of 72 and a second best investment rating of 1B alongside Austria, Germany, the Netherlands and Norway in the latest BERI report. Only Singapore and Switzerland achieved the top 1A rating. Describing Taiwan’s political risk as stable, the study also found that cross-strait relations remain at a healthy level and trade negotiations with the U.S. are advancing at a faster pace. But the study found sluggish exports contributed to Taiwan’s economic contraction in the second quarter, with industrial production and employment showing signs of strain and inflation on the rise. The island’s stable banking industry and improving logistics performance were described by BERI as bright spots amid challenging conditions at home and abroad. Similarly optimistic was the organization’s take on the capital gains tax and its impact on collections and slashing the budget deficit. In terms of remittance and repatriation, Taiwan ranked fourth behind Switzerland, the Netherlands and Singapore. The rating holds steady despite temporary pressure on the current account surplus, which is forecast to drop 12.54 percent this year to US$40.79 billion as a result of weakening exports, BERI said.